In the vacation rental industry, social media can play a pivotal role in attracting renters and home owners to your vacation rental company. It’s important for vacation rental companies to capitalize on their social media outlets to increase website traffic, foster customer loyalty, and generate new business. Not sure what great social media marketing for a vacation rental company looks like? Check out these five vacation rental companies that are rocking social media across the country! Elliott Realty Beach Rentals: This Myrtle Beach vacation rental company is on their game. Elliott has a strong presence on four of the most important social media platforms. They follow the “80/20 rule” of posting about 80% helpful content and about 20% promotional content, and they provide eye-catching visuals. Elliott posts great information across all their social media outlets and engages with their followers on a regular basis. Follow this company to get some great ideas for your social media marketing. 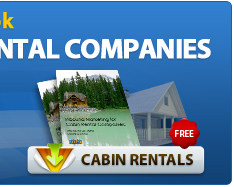 Parkside Cabins: This Smokey Mountain cabin rental company stays current and engaged on the social platforms that works best for their business. They focus on providing helpful area content to their followers and inform them about upcoming deals without using overly promotional tactics. Parkside takes advantage of their scenery by posting great images alongside their helpful content. This works very well for Parkside on Pinterest and they have the following to prove it. They stay up to date with their accounts and respond well to posts whether positive or negative, which is very important. Tybee Vacation Rentals: Follow this Georgia vacation rental company for a great example of how to share local community content. They find fun and exciting activities in their community and make sure their followers know about it. Not only does this help guests and potential renters, but local businesses benefit from this as well. Sharing content that helps your customers also helps keep your company top of mind and it shows you are an expert on the local area. Helpful content is likely to be shared, which helps to expand your reach. Aunt Bug’s Cabin Rentals: Aunt Bug’s Cabin Rentals makes sure they remain top of mind with potential customers by posting fun images and offering great information about things to do in the area of Pigeon Forge, TN. Their Twitter account is especially powerful, providing everything you would want to know about the Smoky Mountains. Siebert Realty: This Sandbridge, VA vacation rental company understands the power of fun, interactive posts in social media. Providing the right mix of helpful content, fun posts and promotional posts can be challenging, but Siebert does it. They post often and well, but also are great at one other item: making it easy to connect across different networks. Siebert’s Facebook page has links to their Twitter, Pinterest, Instagram and YouTube accounts. There is even an email club sign-up, which is a great way to convert your followers into leads. Providing helpful area information while mixing in other fun posts is a great way to keep your followers checking back for more information. These are just a few of the many vacation rental companies who are rocking social media. They are a great source of inspiration for your own social media marketing ideas! You can also find additional social media marketing tips for vacation rental companies by checking out our vacation rental marketing blog! 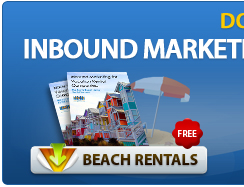 This entry was posted in Internet Marketing, Vacation Rental, Vacation Rental Marketing. Bookmark the permalink. Thanks, will start following these! nicest people and bend over backwards for their customers. I highly recommend this vacation spot; it is beautiful. Thanks for sharing this. I will follow you definitely.That is very useful information for vacation home rents.